In March 2016, UC Merced Chancellor Dorothy Leland launched the Chancellor’s Dialogue on Diversity and Interdisciplinarity, a continuing series of lectures that brings leading scholars to campus to discuss pressing issues confronting higher education today. At UC Merced, we value inclusion of multiple perspectives in all we do—in our interdisciplinary scholarship and in our strong commitment to diversity and inclusion among our student population and faculty and staff. The Chancellor’s Dialogue is designed to explicitly link these core values through a series of conversations as well as public lectures. Carlos Castillo-Chavez is a Regents Professor and a Joaquin Bustoz Jr. Professor of Mathematical Biology at Arizona State University who has co-authored over 200 publications. His 38 PhD students include 18 women, 23 from US underrepresented groups and 6 from Latin America. In addition, he has mentored over 25 postdoctoral students and been a research co-mentor to over 400 undergraduates. Recognitions of his work include: three White House Awards (1992,1997, and 2011), the 12th American Mathematical Society Distinguished Public Service Award in 2010, and the 2007 AAAS Mentor award. He is a fellow of the AAAS (American Association for the Advancement of Science), SIAM (Society for Industrial and Applied Mathematics), AMS (American Mathematical Society), and ACE (American College of Epidemiology). He has held honorary Professorships at Xi’an Jiatong University in China, the Universidad de Belgrano in Argentina and East Tennessee State University. Past appointments include a Stanislaw M. Ulam Distinguished Scholar at Los Alamos National Laboratory, a Cátedra Patrimonial at UNAM in México, and a Martin Luther King Jr. Professorship at MIT. Castillo-Chavez is a member of the Board of Higher Education at the National Academy of Sciences (2009-2015) and serves in President Barack Obama's Committee on the National Medal of Science (2010-2015). 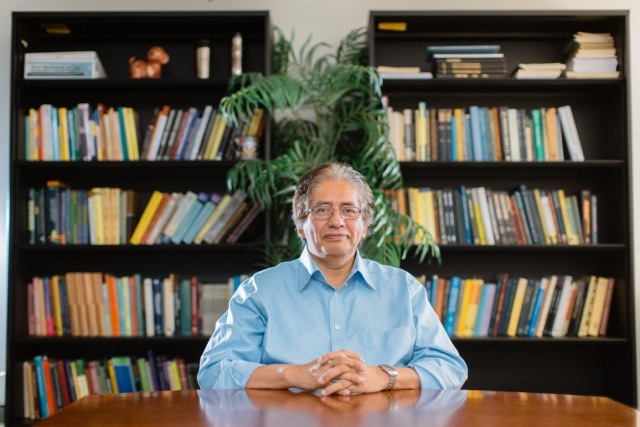 He is 17th recipient of the SIAM Prize for Distinguished Service to the Profession (2015) and the inaugural recipient of the Dr. William Yslas Outstanding STEM Award, by Victoria Foundation Award and co-sponsored by the Pasqua Yaqui Tribe of Arizona (2015).